Hello, i am back again with another quick creation i have made with one of the Dreamees CD Roms. For this card again i used Bloomin Brights CD. 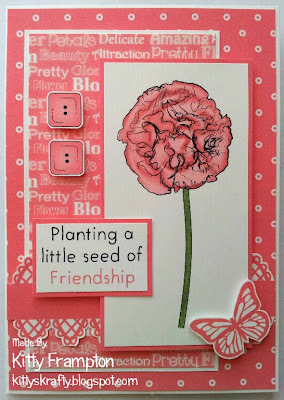 I used the Image, Papers, Butterfly, Sentiments & Buttons, all that coordinate perfectly in a lovely coral tone. Simply and easy to create!